Erie PA: Brady and Sarah Stewart on vacation on Lake Erie with Sarah's family. Stewart's rented a cabin on the Lake Erie shore. 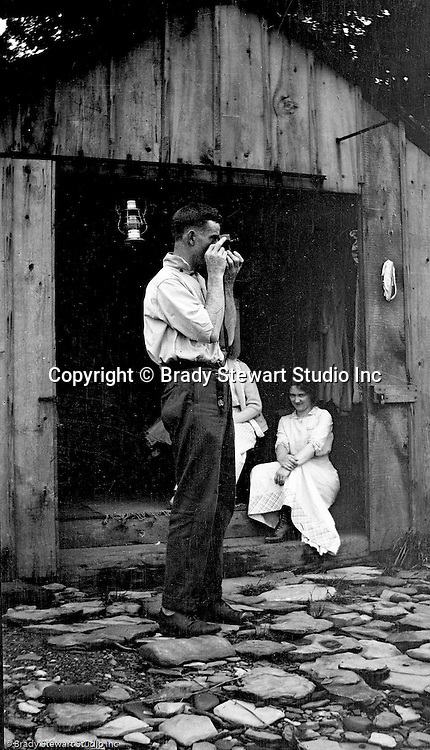 View of Brady Stewart brother-in-law trying out his new camera - 1915.